Venice’s miles of canals are what attracts tourists to the City of Water in their hordes. However, a particularly long and heavy rainfall that has drenched Italy over recent days has left water levels at their highest in four years. 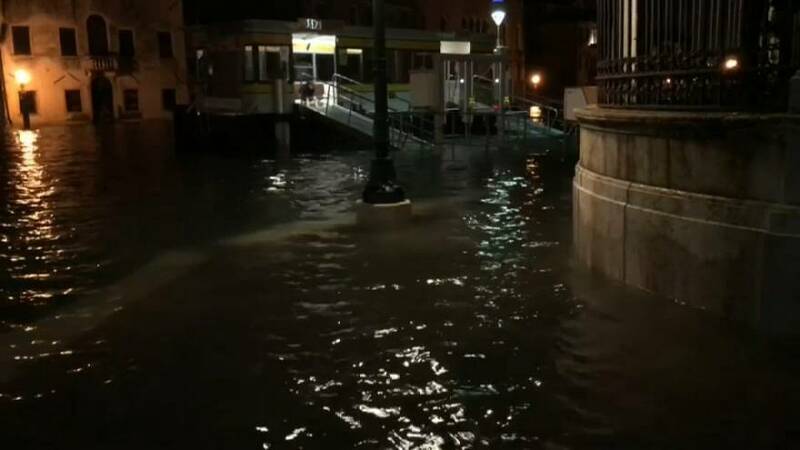 The inclement weather caused Venice’s acqua alta, or high water, to reach a depth of 127cm, while some parts of Italy woke up to the first snow of the season on Monday. Acqua alta is a natural phenomenon that occurs when especially high tides caused by the moon’s gravitational pull coincide with warm winds from the Mediterranean that forces water from the Adriatic into the Venetian lagoon.